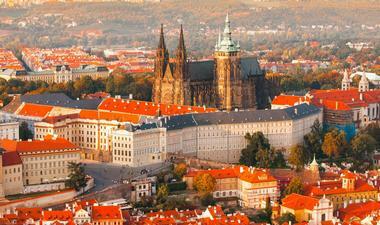 The capital of the Czech Republic, Prague is also the largest city in the country. A cultural, political, and economic center of Central Europe, Prague has grown as a tourist destination over the years, offering cultural and historic sites that are incomparable to anywhere else. 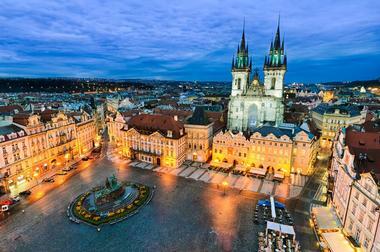 There are a number of UNESCO World Heritage Sites such as Prague Castle, the Old Town Square, and the Prague astronomical clock. Other than being a wonder for architecture and history buffs, the city is filled with amazing natural sites, delicious culinary marvels, and tons of fun things to do and places to see. Made of Bohemian sandstone, the over 2,000-foot-long Charles Bridge is one of the most historic attractions in Prague. The bridge crosses the Vltava River and was constructed in 1357 under the command of King Charles IV. In the past, the bridge was also known as the Stone Bridge and Prague Bridge, but has been popularly called the Charles Bridge since the 1870s. The bridge used to be the only way to cross the Vltava River, making it an important connection between Prague's Old Town and Prague Castle; the bridge's presence is what made Prague an important part of the trade route between western and eastern Europe. Visitors can now explore the bridge, bridge towers, the surrounding Gothic-style buildings, and the collection of baroque-style statues that can be found there. A popular attraction in Prague, the Church of Our Lady before Týn has been the main church in the Old Town since the 14th century. The area was originally occupied by a Romanesque church, but the present church was constructed in the Gothic style under the influence of Matthias of Arras. Visitors can now explore this architectural marvel, which reflects the stunning Gothic sculpture as well as the beautiful antiquities that can be found within, such as the 1649 painting by Karel Škréta. 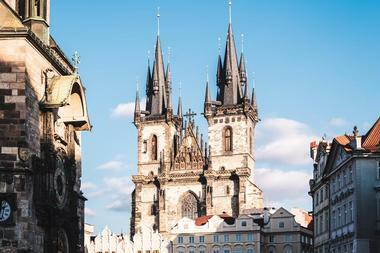 Visitors can also view the oldest pipe organ in Prague, which was built by Heinrich Mundt in 1673. 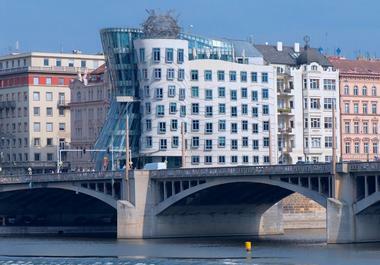 The Nationale-Nederlanden building is more often called by its nicknames, the Dancing House or Fred and Ginger. One of the most architecturally unique buildings in Prague, the deconstructivist building stands out among the more common Gothic, baroque, and art nouveau structures that surround it. 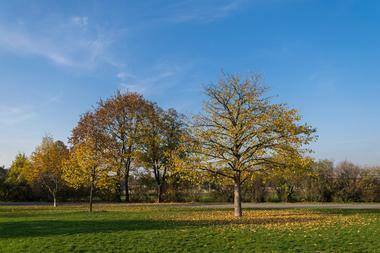 The land itself is of great historical significance as it was the site of a 1945 bombing. Now the building, which was designed by Croatian-Czech architect Vlado Milunic and Canadian-American architect Frank Gehry, is home to a Dutch insurance company. Visitors and architecture aficionados will love the dancing shape that the building takes on as well as the large twisted metal structure named Medusa at the top of the building. 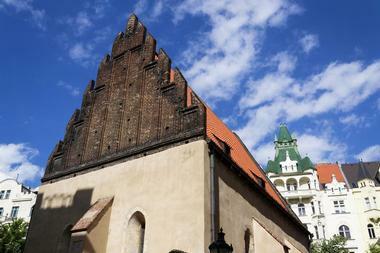 One of the most visited museums in Prague, the Jewish Museum was founded by historian Dr. Hugo Lieben in 1906. The museum documents the customs and history of the Jewish people who lived in the Czech Republic and has one of the largest collections of Jewish ceremonial art in the world. Visitors can explore the exhibits and better understand the history of the Czech Jews with the various artifacts and antiquities. There are over 100,000 books, 40,000 objects, and an extensive archive of the Czech-Jewish community's history. Some of the more interesting aspects of the collection include one of the oldest printed books, titled 'Songs of the Sabbath and Grace after Meals,' dating back to 1514. Completely surrounded by the Old Town, Josefov is a small town quarter that was formerly a Jewish ghetto. At one point, the old quarter had over 18,000 inhabitants and developed extensively in the 16th century under Mordecai Maisel, a Jewish mayor who became the minister of finance and used his wealth toward the betterment of the ghetto. Since most of the quarter was demolished in the early 1900s as part of an initiative to rebuild the city, visitors might find it a little difficult to imagine the town as it was when the Czech-Jewish community thrived there. The structures that presently remain include the Old Jewish Town Hall, the old cemetery, and six synagogues. 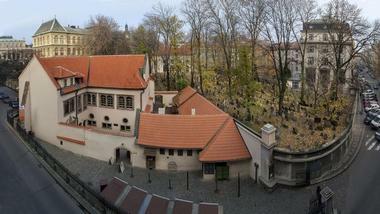 All of the buildings are maintained by the Jewish Museum in Prague. 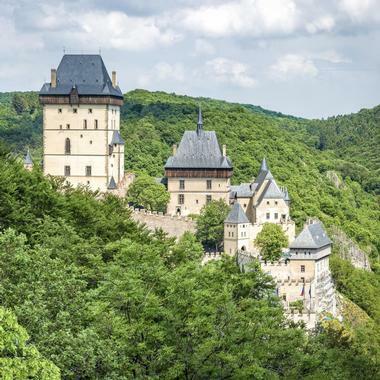 One of the most famous castles in the Czech Republic, Karlštejn was founded by Charles IV in 1348 CE. It used to house royal treasures such as the Bohemian and Czech crown jewels, the Imperial Regalia, and holy relics. The castle has gone through many renovations over the years, changing from late Gothic style to Renaissance style. Visitors will come across the neo-Gothic style castle that was constructed under the eye of Josef Mocker, a Bohemian architect. An architectural wonder, the location of the castle itself, lying high atop Kneží Hora Hill, is a sight to behold. Tours are available for visitors wanting to explore everything from the drawbridges to the Marian Tower. Overlooking the historic center of Prague, Letná comprises some of the most beautiful hills, plains, and parks in the whole Czech Republic. The area used to be a strategic point for military purposes, but today visitors will find Letná an artsy, bohemian type of place. There are tons of art attractions for visitors to enjoy, including the Academy of Fine Arts, the National Gallery, and many smaller independent galleries. Other sites to visit while you're there include the Letná Beer Garden, the National Technical Museum, and Bio Oko, a fun 1930s-style cinema fitted with a cafe, bar, and so much more. Letná Park, also known as Letenské Sady, is popular with visitors who enjoy taking a stroll through the great outdoors and inline skating and jogging are popular here as well. Housing the largest collection of art in the Czech Republic, the National Gallery in Prague comprises a collection of buildings and structures located around the city. Visitors will find everything from modern and baroque art to Czech and Slovak sculptures, including works by Vincenc Beneš, Alfons Mucha, and František Kupka. Visitors will come across some amazing exhibits from artists such as Renoir, Monet, Munch, and Miró. There's a room dedicated solely to Picasso, which houses unique works such as two of his self-portraits as well as two of his nudes. 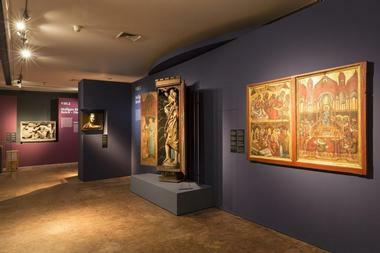 Other than the stunning permanent exhibition, the gallery also invites visiting exhibitions from around the world. A collection of historical, natural, and scientific exhibits displaying artifacts from all over the Czech Republic, the National Museum has been open since 1818. Its beginning was largely due to Kašpar Maria Šternberg, a Bohemian theologian and botanist, and historian František Palacký. There are over 14,000,000 items in the dozens of buildings that comprise the National Museum, all ranging from natural history and the arts to history and music. 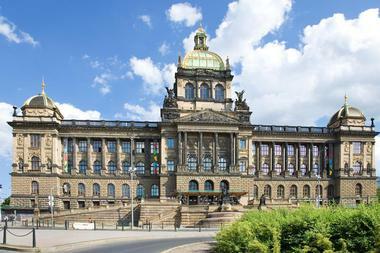 The main museum building on Wenceslas Square is a sight on its own; it was built by Josef Schulz and is filled with beautiful pillars and stone statues. Consisting of the opera, ballet, and drama, the National Theatre in Prague is home to many wonderful art forms in the Czech Republic. 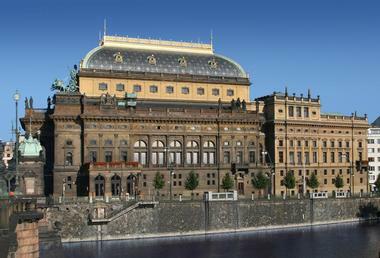 The theater is world renowned and considered a national monument in Czech history. For over 130 years the theater has been a space for free artistic creation and is one of four stages that hold performances: The State Opera, the National Theatre, the Estates Theatre, and New Stage. Visitors can go on guided tours of the building to learn about its exciting history and gain insight into the modern art world. 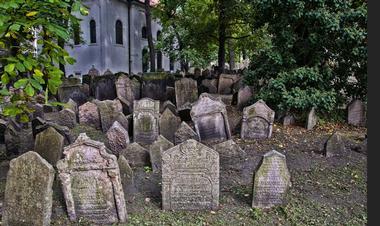 The largest Jewish cemetery in Europe, the Old Jewish Cemetery is a significant monument in Jewish history. There are many renowned personalities from the Jewish community buried at the cemetery, which was in active use until 1786. Some of them include historian David Gans, philanthropist Mordecai Maisel, who has the oldest tumba on the cemetery, and rabbi David Oppenheim, who was at one point the chief rabbi of Prague. Visitors can go on a tour and learn the stories behind each of the tombstones as well as explore the nearby Pinkas Synagogue. Here visitors can go back in time to over 700 years ago, when the Old Town Square was the center point for many of Prague's historic events. One of two main squares in Prague, the Old Town Square is filled with stunning architecture that ranges from breathtaking churches to ancient buildings. Visitors can explore other sites on the square, such as the St. Nicholas Church, the Old Town Hall Tower, and the astronomical clock. Visitors will find a large statue of Jan Hus erected at the center of the Old Town Square in 1915 to commemorate the 500th anniversary of his death. After exploring all the sites, visitors will enjoy soaking in the surrounding beauty by relaxing at one of the many pavement cafes and bars lining the square. Petrín Hill is a great place for visitors to spend the day with family and friends, and getting there is half the fun. Visitors can climb aboard the funicular, a fun cable railway that will take visitors to the top of the hill, or hike along a wooden path that also provides an opportunity to visit the statue of Karel Hynek, a famed Czech poet. Formerly one of King Charles' vineyards, there are many activities on the hill for visitors of all ages to take part in. 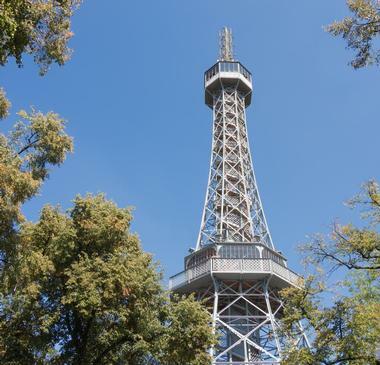 The Petrín Tower invites people to climb to the topmost observation point and take panoramic pictures of their surroundings. Visitors can also go through the Mirror Maze, enjoy a pony or horseback ride, explore the Rose Garden, or tour the Observatory. The Prague orloj, or the Prague astronomical clock, is a medieval astronomical clock that was mounted in the Czech capital in 1410. Visitors will find the clock in the Old Town Hall building in the Old Town Square; if not with a tour, visitors can ask nearby locals about the interesting legend behind the clock as it is a well-known tale. 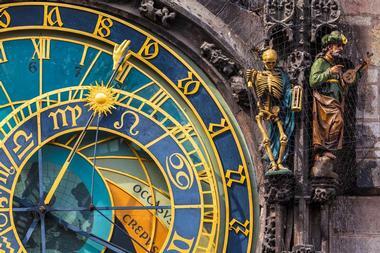 Though it is the third oldest astronomical clock in the world, it is the only one that is still working. There are three components to the clock: the astronomical dial, which represents the position of the sun and the moon, an hourly dial, which shows the figures of the Apostles and includes Death, represented by a skeleton, and a calendar dial to represent the months. Dating back to the 9th century, Prague Castle is a castle complex that is presently the official residence of the president of the Czech Republic. Records show that it is the largest ancient castle in the world and visitors can explore certain parts of it through guided tours. Visitors can see the Cathedral St. Vitus and the Old Royal Palace on a professionally guided tour or walk the grounds on their own with an audio guide that shares interesting facts on the castle's exterior and interior. Some of the other historical buildings in the complex include St. George's Basilica, Golden Lane, and Powder Tower, which now houses an exhibition on the Prague Castle Guard. 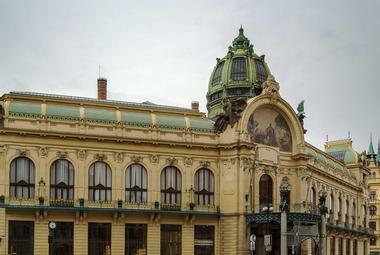 Located right next to the Powder Gate in the center of the city, the Prague Municipal House is a civic building that is presently also used as a concert hall and a ballroom. Certain parts of the historic building are open to the public but visitors will definitely get a more in-depth and fact-filled look at the building with a guided tour. There are also some great cafes and restaurants for visitors to dine in, each of which offer a unique view of the building. Some aspects that visitors shouldn't miss include the mosaic above the entrance, the stained glass detail that can be seen from the outside, and Smetana Hall with the many paintings and sculptures that can be found within it. 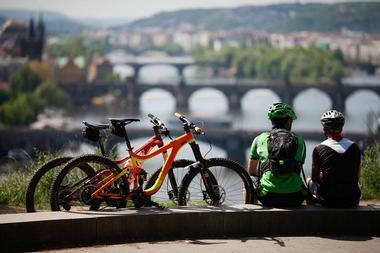 Biko Adventures Prague offers bike rentals, bike tours, and numerous other outdoor adventures for those in the historic city of Prague. In addition to simple and family-friendly tours such as E-biking or easy biking, visitors can also choose to go road biking or MTB biking or go on a 3 to 9-day bike holiday anywhere in the vicinity. With professionals that are expert at more than just biking, the company also offers tours on river surfing, running, hiking, and active sightseeing. There's also a range of tours for the winter, such as cross country skiing, snowboarding, and snowshoeing. The tours are a great way to explore hidden beauties as visitors go through fields, rivers, and the mystical city of Prague. The Bohemian Craft Beer Tasting tour offers a combination of the best local craft beers along with delicious traditional Czech appetizers. Even better, visitors will be able to sample a variety of artisan beers whilst exploring a 12th-century Prague palace, the House of Lords of Kunstat and Podebrady. Considered one of the best beer tours in Prague, visitors will learn about the role beer played in Prague's history in the Neolithic and understand the brewing process step by step. What better way to explore Prague's second oldest building, try some of the land's best beers, and eat carefully paired Czech delicacies than with the Bohemian Craft Beer Tasting tour? 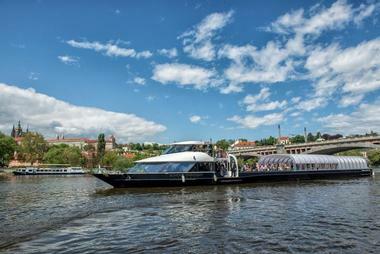 One of the best ways to see the beauty of Prague, Prague River Cruises offers you a variety of choices when exploring the historical city from the waterfront. Visitors can choose from 1 or 2-hour cruises that are filled with fun facts about the surrounding sites and let people take some amazing photographs without the busy streets interfering. The company also offers one of the most romantic cruises in Prague, which takes visitors through Devil's Channel, allowing them to see stunning medieval homes and other picturesque sites. Other than tour cruises, visitors can choose to mix sightseeing with delicious meals on a lunch or dinner cruise that offers a romantic meal including live music and all. See the underbelly of Prague that is often missed with mainstream tours with the Prague Urban Adventures company. Comprising a group of individuals who consider themselves self-proclaimed ambassadors of the city, the friendly guides take visitors on a tour through the cobbled streets, the delicious local cuisine, and the amazing people that make the city come alive. Visitors are able to soak up their surroundings by choosing a tour that fits their interests. 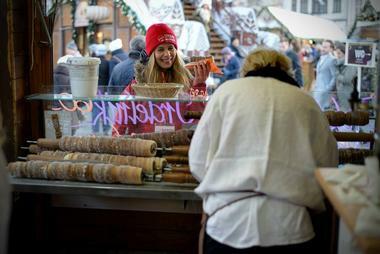 Some of the tours include the Prague Beer and Czech Tapas Tour, the Merry Markets Christmas Tour, and Prague Discovery, a tour that allows visitors to see the iconic landmarks that make up Prague, sail on a replica 19th-century sailboat, and drink and eat like a local. 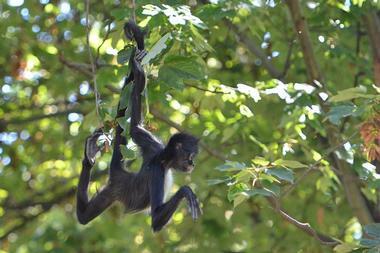 Since 1931 Prague Zoo has been home to an ever-growing array of animals from all over the world. There are now over 4,200 animals from over 650 species, many of which are considered threatened or endangered. Not only is the 140-acre land home to some magnificent animals, it is also a place for students and others to study zoology, create public awareness about various issues that affect the animals and their habitats, and protect the wildlife that is slowly diminishing. Listed as the fourth best zoo in the world by TripAdvisor in 2015, visitors of all ages will enjoy visiting the exhibits of polar bears, Sumatran tigers, gorillas, and the critically endangered Chinese giant salamanders. 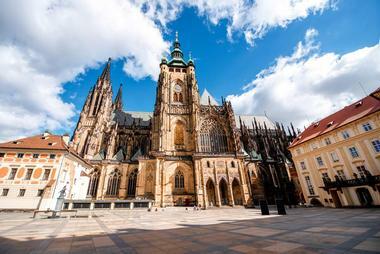 Situated entirely within the Prague Castle complex, St. Vitus Cathedral, or the Metropolitan Cathedral of Saints Vitus as it is also known, is a Roman Catholic metropolitan cathedral located in the heart of Prague. It is considered the most important church in the country. Many variations of the church have been documented as far back as 930, but what visitors will now see is a great example of Gothic architecture. History buffs will love visiting the site as there are tombs of many Holy Roman Emperors and Bohemian kings. One of the best parts of visiting a new place is meeting the local people, eating their food, and understanding their culture. With mainstream tours, it's sometimes difficult to really understand the heart of Prague, but with the Taste of Prague tour visitors will know that the heart of the historic city can be seen and felt in its delicious cuisine. The Taste of Prague tour company lets visitors skip the tourist traps and go to where Prague foodies eat and drink. 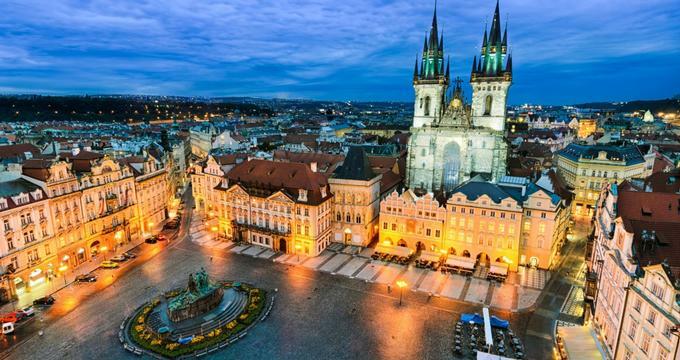 Visitors will enjoy every minute of their tour as they explore the historic city, taste delicious Czech food, and meet the locals who run these restaurants, bars, cafes, and eateries. 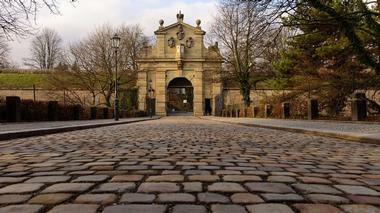 A cultural cornerstone, Vyšehrad is a historical fort that can be found in the heart of Prague. Located on a hill rising about the Vltava River, local legend has it that Vyšehrad was the place of the first settlement slowly leading to the city that is there now. The fort was built around the 10th century and is situated alongside the Vyšehrad Cemetery, which contains the remains of Josef Bican, who was a famous footballer, opera singer Emmy Destinn, poet and writer Jan Neruda, and other notable people. Visitors will also find the Basilica of St. Peter and St. Paul and the Rotunda of St. Martin, one of Prague's oldest surviving buildings. 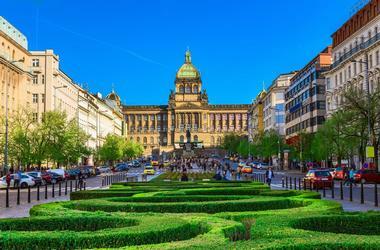 Wenceslas Square is the center of culture and business in the New Town of Prague. 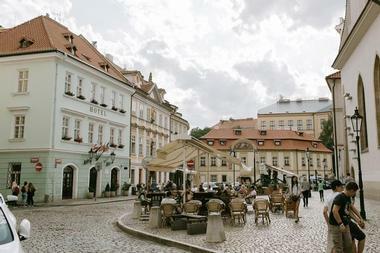 The square, which was named after Saint Wenceslas, is a UNESCO World Heritage Site and has been the location of many of Prague's historic events. It is still a popular place for public gatherings, demonstrations, celebrations, and such. Visitors will find stunning art and architecture in the square, including the Wenceslas Monument and National Museum, the Stallion Ardo, and the roof sculptures atop Hotel Evropa. Everyone is sure to have a good time among the many hotels, retails stores, fast-food joints, and restaurants that can be found around the square.